When a firearm has been in use as long as the 12 gauge, you know it is effective and versatile. 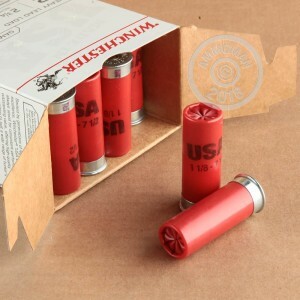 With widely available ammunition for a variety of different shooting applications, this shotgun, invented in the 1870's, is one of the best firearms you can find for hunting, self defense, and sport shooting. 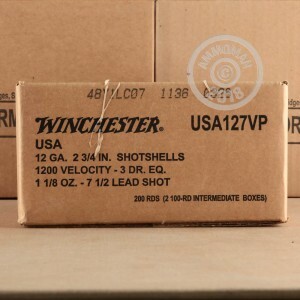 Winchester has been around since 1866, and with the reputation Winchester has, you can be assured in the reliability and efficacy of their ammo. 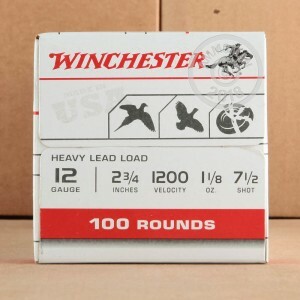 With this Winchester Heavy Game and Target ammo, you have the power you need to bring down clay and live birds. Each hull measures 2-3/4" in length and carries a 1-1/8 oz. payload of #7.5 lead shot. Do you need to re-stock your ammo supply? At AmmoMan.com all orders over $99 will receive Free Shipping!